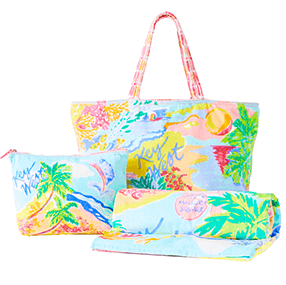 Your Lillys need some company! 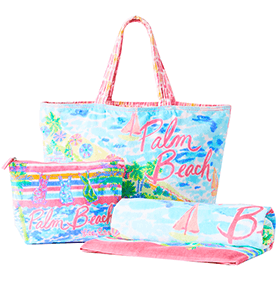 Have a favorite beach getaway? 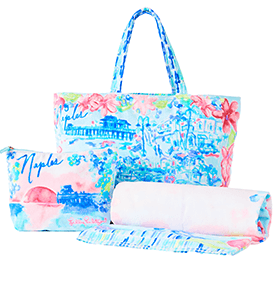 We have the perfect painted travel set for you. 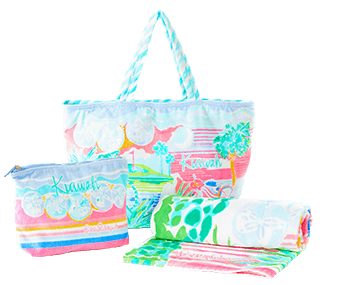 The Destination Collection combines everything you need for a long weekend spent under the sun. 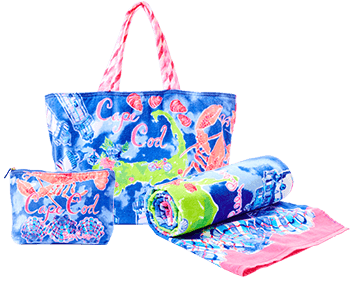 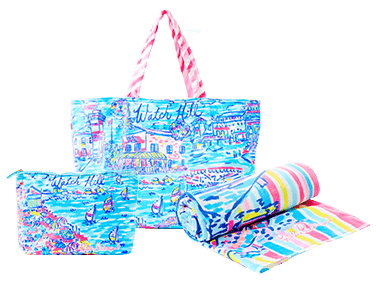 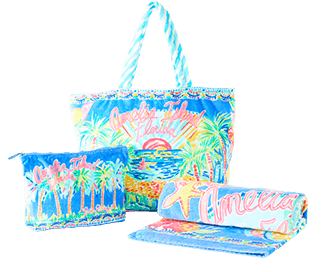 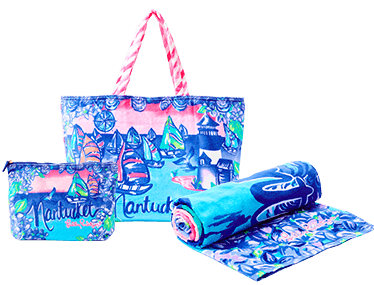 With a graphic tote, beach towel and pouch you'll be all set for a day on the beach. 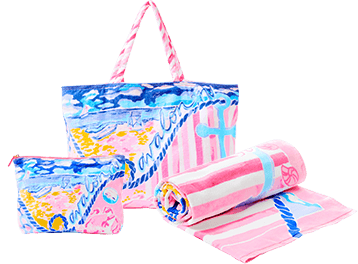 Don't forget to throw in your favorite maxi or cover-up for happy hour after the beach! 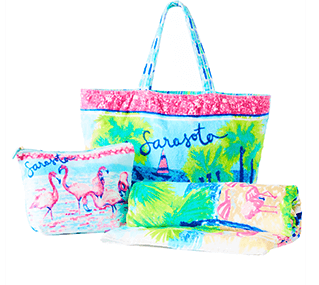 Get sunshine in your inbox.